What do baseball and gardening have in common? These two great American pastimes have a certain timelessness to them, a certain constancy – like homemade apple pie – often hard to find elsewhere in our fast-paced, digital media-crazed culture. But, you might be asking: How are these two great American pastimes really connected? What does baseball have to do with gardening? Do you have memories of hanging out with a grandparent or neighbor, listening to the game on the radio while gardening in the summer sun? I would spend hours with my Grandpa Bear in his garden. And it was such a thrill to imagine the stadium with all of the cheering fans coming through the radio. For us, “boys of summer” really had more than one meaning. Ripe tomatoes, sweet corn on the cob, ball parks, long, lazy days in the heat after walks in the cooler mornings. 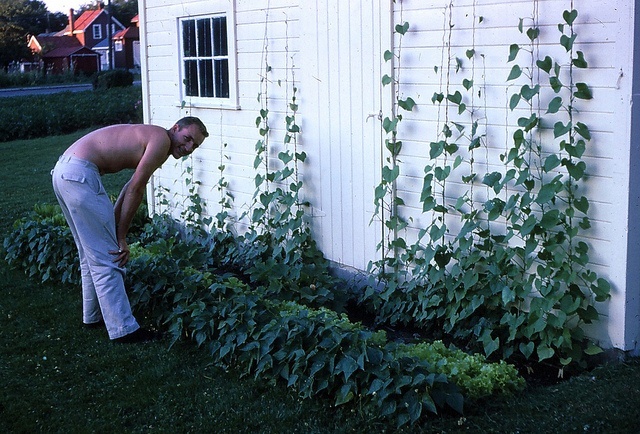 So much about baseball and about gardening stirs memories of an idyllic youth, and a slower more relaxed way of life. But these days, I’m finding there are even more connections between these two great American pastimes – gardening and baseball – and have had the opportunity to talk with Phillies great, Brad Lidge, about them. Just as gardening connects us to the soil, Brad tells me, baseball connects players to the dirt and the grass of the ball park. Out under the sun, there are rituals scratched and rubbed in the dirt by the pitchers and batters. In ways these small rituals are similar to how we work the garden compost, grab a handful of soil to enjoy the rich aroma, and scratch in our plots around the greens and veggies. There’s a connection that forms with the soil, the dirt. In fact, the pitchers in Major League Baseball are so in-tune with the dirt’s effect on the baseball’s leather, they’ll only use one particular mud from the Delaware River to condition the balls before every game! Baseball players become aficionados of the dirt the same way gardeners do of the soil. They come to know it and touch it with an intimacy and familiarity of passion and joyful hours “at play,” and as we explored in the recent article, “Soil Spirituality,” our connection with soil brings all sorts of mind/body benefits.